This is something that I foolishly share with a friend of mine. This friend told me that she suffered from shallow breathing and how it was harming her health in many ways. Me being a person who has been meditating for several years, gave her the best advice I knew to give her. The truth is that shallow breathing is something that need consistent attention. Simply telling someone to do deep breathing exercises 20 minutes a day is not enough, they need to create a life style that is all about grasping for my oxygen, and therefore more life. Low oxygen levels is one of those things like hypertension, that is a silent killer. Most people have no idea that they have low oxygen levels until they have a host of other symptoms that leads to the realization that these issues stem from low blood oxygen levels. It might manifest in the form of chronic fatigue, the inability to concentrate, low stamina, muscle soreness, headaches, and a persistent state of lethargy. All of these things are the opposite of healthy living and cause a sufferer to live in chronic pain. If you are reading this article, then you are desperate for alternative ideas that can help you with your low oxygen levels. Well, you have definitely found the right acupuncturist. 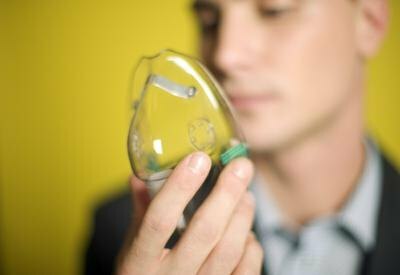 Treating low oxygen levels is something that we do. We know that you have probably tried a lot of different things, but this is definitely a treatment that will improve your quality of life. Your willingness to try alternative methods shows that you are serious about using anything that proves to be useful, and acupuncture is useful for people who suffer from low blood oxygen levels, and we will help you get better. One question that is often asked is, “how does acupuncture actually help?” We know that when many people think about acupuncture, they can’t conceptualize how being pokes with little needs will help them breathe better or how it will increase blood oxygen levels. We understand as a looker own that it is hard to see how it can be helpful, but that is because you have not really looked under the hood. If you look under the hood, then you will see how acupuncture uses both nervous systems to release feel good hormones in the brain which reduces pain, makes a patient calm, gives them a greater sense of well being, and which slows down and deepens their breath. It is amazing what being calm and peaceful can do to the body. And it isn’t just short term results. You will leave your sessions feeling great and you will take this heightened and relaxed state out into the world. You will find yourself more energized, your oxygen intake will be greater and the symptoms that once tormented you are a thing of the past. This is what acupuncture does for people with low blood oxygen levels, it makes them feel great. As you can see, acupuncture can definitely help you, but it only works if you book an appointment and give it a try. More people will read an article like this than there are people who will seek treatment that will make them feel a lot better. Please be the type of person who gets help because you deserve to feel better, you deserve a life free from pain, a life where you feel great and energized. These are the things that acupuncture will do for you and your condition. Please give us a call so that we can discuss any questions that you have.